Below are some recommend Single Resources. We will continue to grow this page as we find valuable items to pass on. Wendy Griffith had often preached to other women about being a prize to be won, but did not practice it. She did not realize her true value in Christ, and became the “beggar” in a year-long romance, begging for a few scraps of love. When her romance ended, she was devastated. Through her tears, God showed her that she had settled for emotional “crumbs.” She learned that God had so much more for her, (Eph. 3:20) and that she was a pearl of great price! Now she shares her past heartache and experiences, defining what real love is and showing you how to: Guard your heart; Avoid the counterfeit; Not look back and enjoy being sensationally single until the right one comes along. You’ll learn why God’s love for you is extravagant and you shouldn’t settle for emotional crumbs. 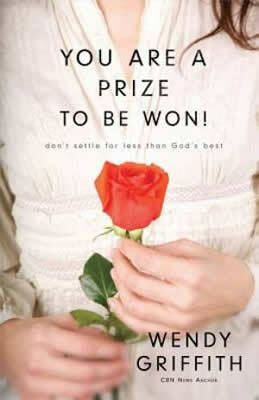 You are a prize to be won! A New Vision for Dating! 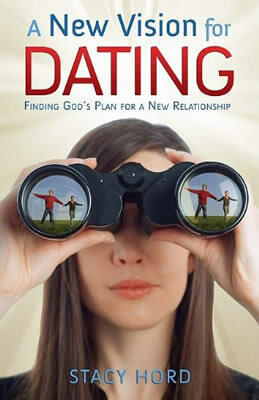 A New Vision for Dating is more than just a guide for singles or the single-again adult. It is designed to instruct singles on how to open up to God s vision for their lives and to create an expectant hope of restoration from their past mistakes. While many singles seek answers from friends, dating services, single ministries, chat rooms, and even bars and clubs, A New Vision for Dating offers real life answers articulated in a way that affects the spirit, as well as the intellect. More than just offering information, A New Vision for Dating instructs the reader on how to change, to forgive, to move on, and leave destructive patterns behind. The reader is prompted to make an affirmation after most chapters and do some soul-searching to resolve old issues. Creative stories are interwoven throughout the book to illustrate the principles that are presented. Stacy Hord, was crowned Mrs. Missouri 1997 and later co-hosted a popular Christian morning talk radio show, Rod and Stacy in the Mornings. A divorced mother of three and teacher/facilitator of a divorce recovery program, Stacy is no stranger to the real challenges of reprogramming our hearts and minds to find a healthy relationship after a series of failed ones. Her unique way of sharing the “rights and wrongs” of dating will challenge any reader to date with a new vision. 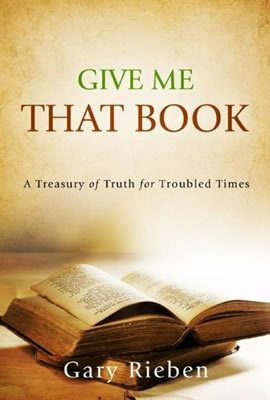 Give Me That Book: A Treasury of Truth for Troubled Times! The Bible is like no other book. It was written by God. Through it Jesus Christ speaks. It gives life to the dead, wisdom to the fool, joy to the heart and light to the blind. It instills reverence for life and righteousness to the sinner. It is more precious than gold. It satisfies the deepest longings of the soul. It protects from danger and points toward reward. It discerns error and removes blame. It gives us the words and thoughts that please God. Psalm 17:9-14] It is a story of love, an armory of weapons and a treasury of truth. It brings hope in sorrow, strength in battle and perfect peace at death. Note: All proceeds from the sales of this book go to supporting Dr. Rieben’s missionary endeavors in Malawi and the world. 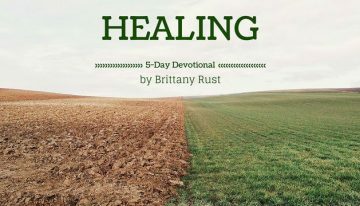 SingleChristianity.com receives no referral or adverting money from any of these books. They are recommendations based on personal knowledge of the content and the authors integrity.